Wow - either you are looking for Multiplication Math Games or you fought your way through the perilous maze and arrived at Question #3! Either way - good job. I'm going to work with the Maze runners first, and then talk about Math Games. Your next assignment is Question #3! This one is a little strange, as I would like you to choose your answer from one of the letters at the bottom of the question rather than click on the question itself. 3) What is the product of the following expression? There actually is a site called www.multiplication.com and it has multiplication math games. The games are cute - to be truthful, many of the games added multiplication kind of as an afterthought. But hey - if it works it works. This site is geared towards younger kids (pre-algebra students). There's Calculators - So why should I learn how to multiply? Good argument (sarcasm - in case you didn't spot it). Heck, they invented automobiles so why did you bother learning to walk? But seriously, the real answer, the one your parents or guardians probably won't tell you, is that the reason you have to learn basic math - which includes everything through Algebra II. Is mainly so you don't look like an idiot. There's a lot of secondary reasons like jobs, finances, construction, everyday problems encountered in life, but the idiot thing really is the main reason. Speaking of electronic calculators the ENIAC is thought to be the first one. 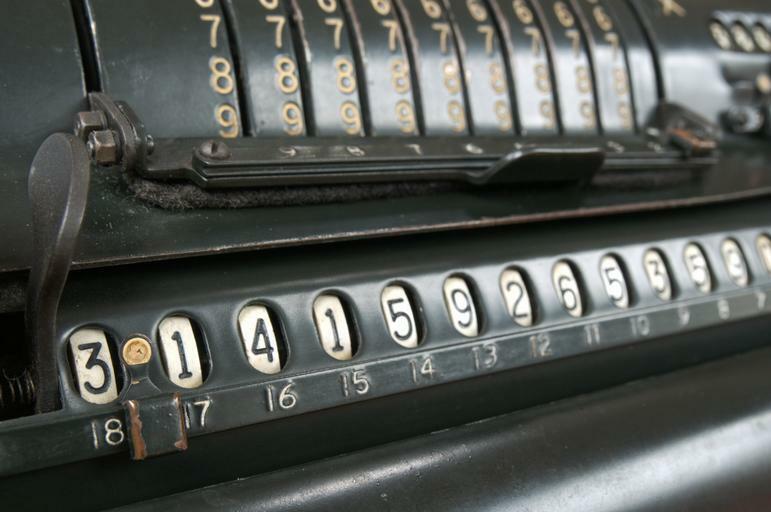 There were mechanical calculators before the ENIAC but the 1946 ENIAC was the first electronic calculator. It weighed around 30 tons and could multiply two ten digit numbers in less than 0.003 seconds. One of the many problems (did I mention it weighed 30 tons?) was that it kept breaking down. The machine consisted of 20,000 electronic valves and it kept breaking down. It was finally retired in 1955. The famous mathematician Alan Turing whom many refer to as the founder of computer science, once said that there would never be a need for more than four or five computers in the whole world.